Huawei recently held its own in-house Analyst Summit for 2019. During a Q&A at this event, its representatives reportedly confirmed that Apple has not responded to its proposal to sell it the 5G modems it needs for its iPhones. This offer had recently been made publicly, possibly to highlight the fact that one OEM can use next-gen radio bands and the other cannot. 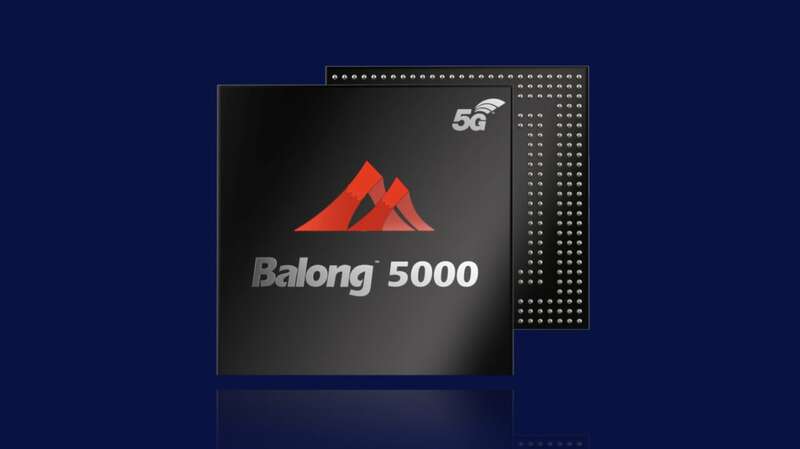 Recently, Huawei stated that it would consider the prospect of selling its Balong 5000 modem to other OEMs in need of 5G connectivity in their smartphones. It mentioned Apple specifically in this matter, as its difficulty in finding next-generation modems has become very apparent over the past few months. However, according to the latest evidence on the matter, this initial offer has fallen on its face. Anshel Sag, a tech analyst with the firm Moor Insights and Strategy, was at the recent Huawei Analyst Summit for 2019. He reported that the company had been questioned about this '5G modem offer' during this conference. The response: "No change in terms of our chip set strategy. And no communication with Apple about 5G modems." Nevertheless, Huawei apparently believes that, "Apple is a great company and a pivotal company in the mobile industry". This may be just as well, as at least one correspondent has since hypothesized that Huawei only made the 'offer' in order to raise awareness of its 5G technology. As for the Balong modem itself, it will soon be available as part of the upcoming Mate X foldable phone.